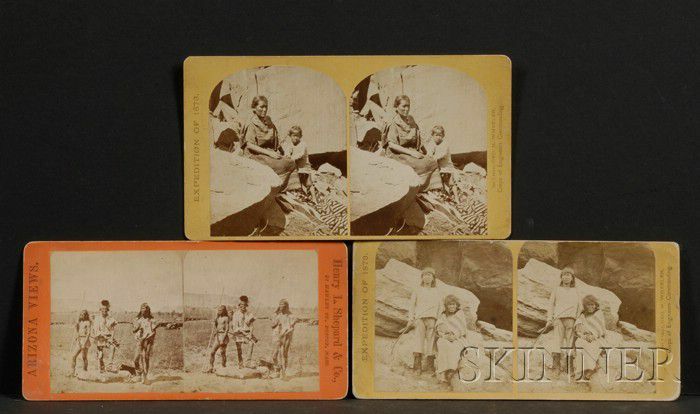 Three Early Stereo Views of The Expedition of 1873, photographer T.O. Sullivan, Southwest images of Navajo and Apaches (? ).